Bryce Mullins is a fingerstyle guitarist from Batesville, Indiana. He received his bachelor's degree for classical guitar performance from the College Conservatory of Music at the University of Cincinnati. 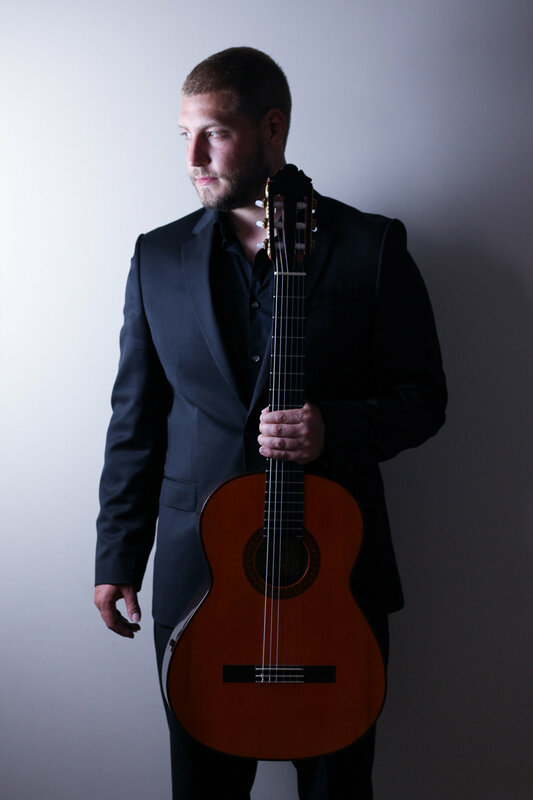 Bryce also received his master's degree in classical guitar performance from Austin Peay State University. Utilizing the knowledge and technique that he received from studying guitar in college, Bryce began composing his own pieces and playing fingerstyle classics written by his heroes. His influences include Tommy Emmanuel, Chet Atkins, Merle Travis, Jerry Reed, and Steve Howe. Bryce teaches private guitar lessons full-time at Miss Shannon's Music Studio. He also plays solo fingerstyle concerts, weddings, and lead guitar for The Yorkridge Boys. In 2017 Bryce released his debut album 'First Sip', which contains twelve original instrumental songs performed on acoustic guitar. Bryce endorses Elite Acoustics Engineering amps and Furch Guitars.